Is the ad industry about to make the same mistake with mobile as it did with digital? Early on in the platform’s development, it would appear so. On a positive note, according to new figures from eMarketer, mobile ad spending will surpass $100 billion in spending in 2016, accounting for more than 50% of all digital ad expenditures. However, there are challenges that need to be addressed. Chiefly, there are a lack of uniform viewability and audience measurement standards in place to validate publisher performance. Today, different publishers utilize a variety of different methods for counting impressions. The key point of contention with mobile is whether or not the publisher delivers on ads rendered or fully loaded as opposed to ad calls. Concerns over ad delivery and measurement issues related to mobile sound all to familiar to the growing pains suffered by advertisers with online display advertising served to desktop devices. Add in the newness and complexity of the segment, and advertisers would be foolish not to be mindful about their investment in this area. In the near-term, the best path forward for advertisers to take is to enforce an ad rendered versus ad called verification approach, establish minimum viewability thresholds and utilize only MRC accredited vendors that are willing to adhere to industry standards. It should be noted that while the Interactive Advertising Bureau (IAB) established a 70% viewability threshold for measured impressions in 2015 many mobile platforms are “guaranteeing” viewability levels as high as 100%. When you consider that according to eMarketer, over 31 million U.S. internet users will only go online using a mobile device in 2016, it is clear that the segments potential is high. Let’s hope that the learning curve is not as steep as the adoption path. What if Advertisers Suspended All Digital Media Spend? Sound preposterous? Perhaps not when you consider how much of an advertiser’s investment is siphoned off by digital fraudsters and criminals. One has to wonder if the efficacy of a reallocated media mix would really hamper in-market performance. Let’s face it, in spite of the incessant level of press coverage, advertiser, agency and publisher posturing and the formation of numerous industry task forces, digital ad fraud has continued unabated. In March of 2014 the IAB estimated that approximately 36% of all web traffic was fake, the result of bots. In December of 2014 a joint study by the ANA and White Ops, an ad security firm, estimated that digital fraud accounted for $6.3 billion out of a total estimated spend of $48 billion. Various other studies have suggested that up to 50% of publisher traffic is bot related and that somewhere between 3% and 31% of programmatically bought ad impressions were from bots. During December of 2014 there was a research study done on FT.com which revealed that “in a single month, 72% of the ad impressions offered on open ad exchanges as being on FT.com were fraudulent.” The impressions were from sites pretending to be the FT and the ads appeared only on sites viewed by bots. Ironically, in spite of the financial impact of these crimes, advertisers continue to spend an increasing percentage of their marketing budgets on digital media. According to Strategy Analytics, digital media will reach $52.8 billion in U.S. ad spending in 2015, accounting for 28% of every dollar spent, second only to TV. Further, while every other medium is either losing revenue or seeing low single digit growth, digital is anticipated to grow at 10% to 13% per annum over the next three years. There are a number of industry stakeholders benefiting from the meteoric growth in digital spending, publishers, ad tech providers and agencies to name a few. For example, the major ad agency holding companies have seen revenues from digital media grow to represent up to 50% of their annual revenue base. Thus it was with a slightly cynical eye that I viewed the recent press release from the Trustworthy Accountability Group (TAG) regarding their latest initiative to combat digital ad fraud. The focus of the release was straightforward enough, dealing with working to minimize “illegitimate and non-human ad traffic originating from data centers.” However, in the end it was about Google lending the group its blacklist of suspicious data center IP addresses for use in a pilot program. As most industry participants know, TAG is the joint effort of the ANA, 4A’s and IAB launched in 2014 to work collaboratively with companies in the digital advertising space to combat ad fraud. While supportive of industry stakeholders teaming up to address key issues, one wonders how likely it is that TAG will be able to mitigate advertiser financial risks in the near-term. Have any of the existing task forces’ yet demonstrated tangible evidence of progress being made to combat digital fraud? 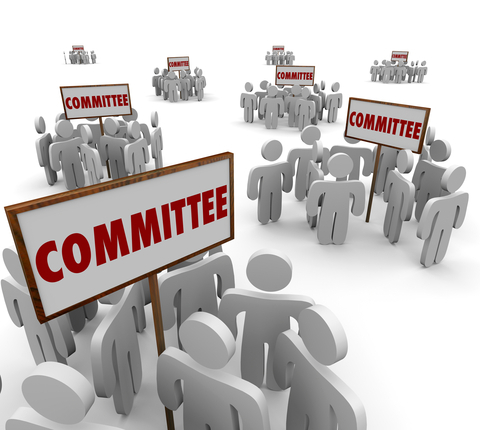 It is difficult to imagine how the formation of yet another committee is going to make a difference. Do the organizations forming these ad hoc groups feel that the industry is so superficial and shallow that the news of a new committee will help advertisers feel better about the lack of measurable progress being made on this front? If the industry doesn’t make concrete progress in the near-term, there is a strong likelihood that we will be welcoming a new “alliance partner” to the team… regulators. We know that historically business in general and the ad industry in particular have never been fans of government involvement. However, if the industry’s self-regulatory approach doesn’t begin to yield results, Washington will assert itself and they should, advertisers are literally being robbed. This is white collar crime at the highest level when you consider that in the U.S. alone, $6.3 billion is being siphoned off by bad actors on an annual basis, 13% of total spending in this specific area. What if advertisers were to place a moratorium on digital ad spending until more concrete actions are taken by the industry to protect their investment? An extreme position? Yes. Unlikely? No doubt. However, this is the type of dramatic action required to force reform and provide advertisers with the transparency and controls required to yield satisfactory returns on their digital media investment. If nothing changes, every incremental dollar invested in digital media will continue to line the pockets of the tech-driven criminals which are preying on advertisers. In turn, this rapidly growing revenue stream allows fraudsters to expand their capabilities at an even quicker rate than those trying to police them creating a “no win” situation for the industry. From this writer’s perspective, while industry task forces and committees can play a role in furthering the dialog, they will not suffice. Traditional outcomes from these groups include recommended best practices, guidelines, advisory white papers and the formation of new committees to continue the fight… hardly enough to strike fear in the hearts of digital criminals. 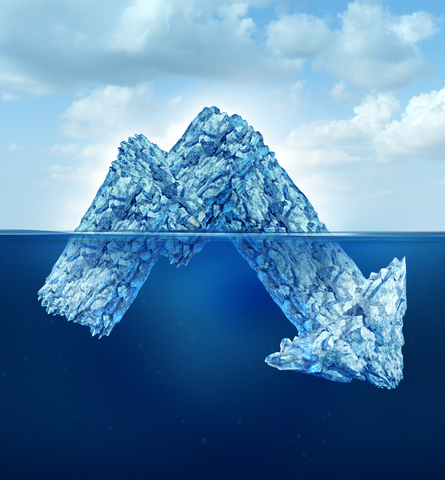 Part 1 in a two-part look advertiser concerns regarding “transparency” and the impact it is having on client-agency relations. While the topic of rebates seems to have garnered a lion share of the attention, when it comes to transparency the rebate issue carries with it much less financial risk than the challenges associated with the rapidly evolving digital media landscape. Consider the fact that various research studies have suggested that digital media advertisers may be losing 50% + of their investment to click fraud, bots, piracy and excessive fees related to supply chain complexity. Given that digital media now ranks second only to television in terms of media spending and that it continues to grow at double-digit rates the potential for Wall Street commentary regarding advertiser investment in this area could be much more problematic. For instance, at the recent ANA conference on “Agency Financial Management,” Peter Stabler, Managing Director, Senior Equities Analyst with Wells Fargo Securities raised concerns about one particular aspect of the digital media space… agency trading desks. Specifically, Mr. Stabler cited the inconsistent manner in which holding companies report on trading desk operations, the potential for the proceeds from trading desks to inflate revenues and create margin dissolution and the potential for conflict-of-interest concerns between advertisers and their agencies. If there is a silver lining to this maelstrom, now that the genie is out of the proverbial bottle, perhaps the highly charged nature of these issues can serve as a galvanizing force to bring clients and agencies together to address these issues in an objective manner… without the emotion and finger-pointing which has characterized the discussions to date. Let’s face it, the last thing either party wants is to see their market capitalization rates decline because analysts and investors have concerns about how they transact business and or the state of client-agency relations. In our opinion, the best place to begin is to develop a sound client-agency letter-of-agreement, which clearly articulates both parties expectations and desired behaviors. Further, the agreement should specifically identify the level of disclosure required by the client of the agency, their related parties (i.e. holding companies, sister agencies, trading desk operations, in-house studios, etc…) and their third-party vendors. We believe that this is a critical first step in establishing accountability standards and controls.